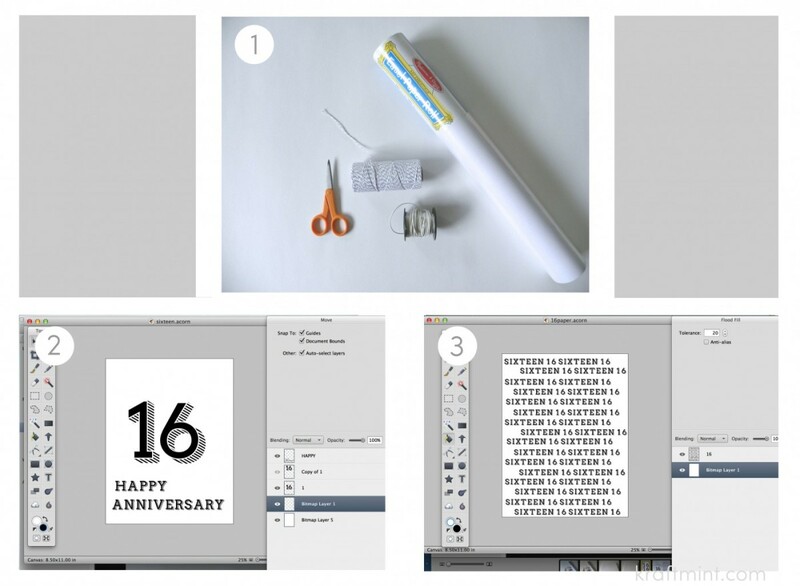 Gather your materials: a roll of white paper, baker’s twine and scissors. (I didn’t end up using the white leather cord shown above). In a graphics editing program such as Photoshop or you could try to use MS Word too, pick a bold and interesting font. I used the font “Airbag” which you can download for free. In this case, I was celebrating my 16th wedding anniversary, so I chose the number 16 and a traditional sentiment. On another document, I wrote the number 16 and also spelled it to create a texture I would use later. 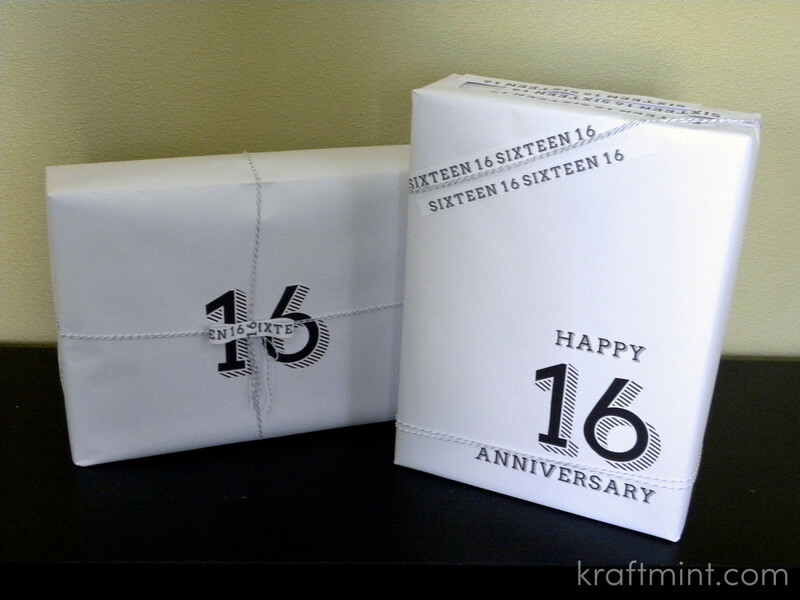 Wrap your gift with white paper. Print both documents I showed above. I chose to print them on photo paper and obtain a nice crisp print. Cut the number 16. The nice thing about the font I used is that is very “forgiving” if you are not the most precise person when it comes to cutting. Cut the sentiment too. I didn’t cut each letter but cut both words separately. 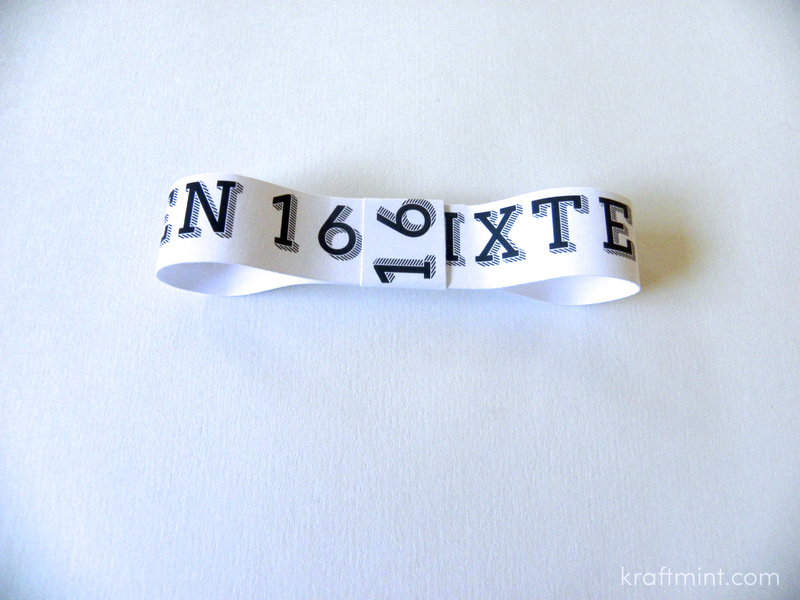 Proceed to cut strips of the number sixteen texture as well. 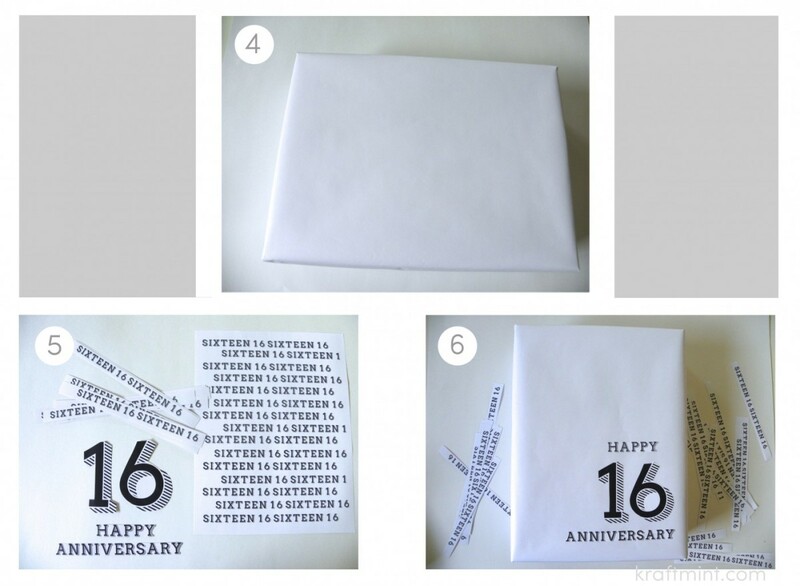 Layout your cutouts like shown above and glue them to the gift. I used one the strips with the number 16 to make a bow. This was my favorite detail! These are the finished gifts! Thank you for reading and as always I love hearing from you! Cool idea! Thanks for sharing. What a neat idea. And it’s so fun to design your own paper.